Who is cooking at the GALA? Home / News / Who is cooking at the GALA? Jason Rutledge of the Blyth Inn and Peter Gusso of Part 2 Bistro in Blyth are happy to serve you. Both are recognized in Huron County not only for their businesses, but for their contribution to “Fare on Four”, serving 1419 guests a three course open air dinner on the Main Street of Blyth with tremendous success. In November of 2014 both chefs entered the Coldwell Banker Soup Competition in Goderich to raise ‘funds for families’. Jason won the judges award with his famous Clam Chowder, while Peter picked up the voters choice award with his Butternut Squash, Brie and Maple Bisque. 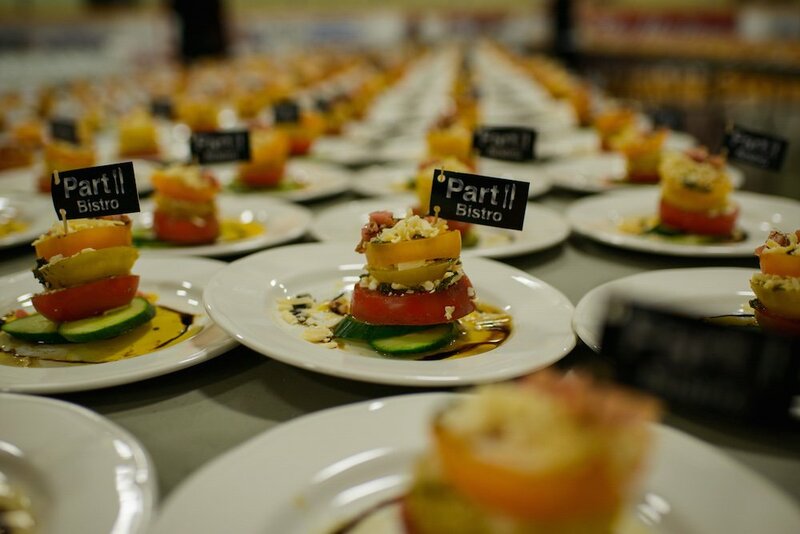 We look forward to collaborating together again on this fabulous event for the South Huron Hospital Foundation Gala. Next PostHAMATHER FAMILY becomes a DIAMOND SPONSOR – donating $25k to the Gala!